Submitted by ken on January 23, 2007 - 9:41pm. 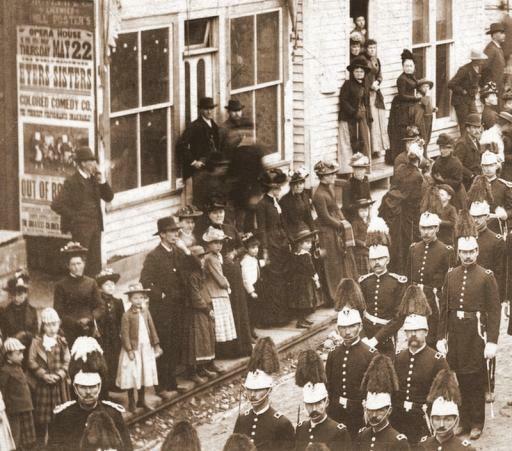 Bystanders in the mining town of Deadwood in the Dakota Territory watch a group of uniformed men from the Grand Lodge I.O.O.F. [Independent Order of Odd Fellows] parade down the street on May 21, 1890. Photographed by John C. H. Grabill. This is a detail from a larger image.